Picture a Day - The Holy Land Revealed: Skip to the End -- How Did WWI End in Palestine? Skip to the End -- How Did WWI End in Palestine? 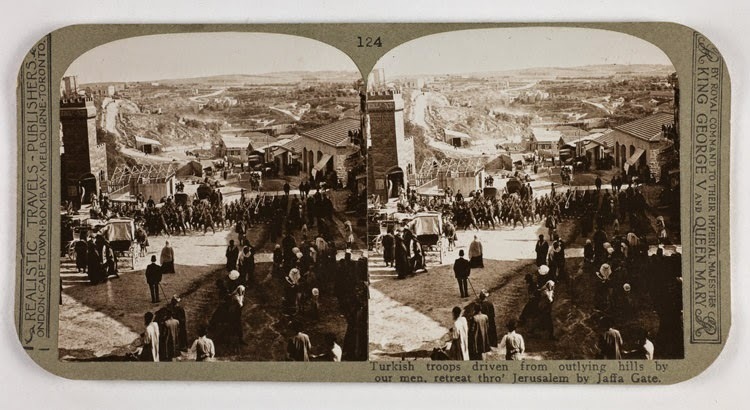 World War I began 100 years ago in the Middle East with the Turkish assault on the British-held Suez Canal. Let's skip to the end and view how the war concluded in Jerusalem in December 1917. The British forces stalled in their attempt to capture Palestine through Gaza. A daring attack across the desert to Be'er Sheva in October 1917 opened the path to Jerusalem. 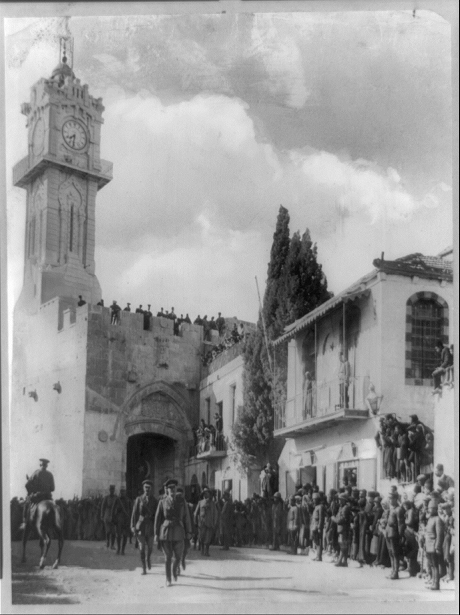 Click here for more on the surrender of Jerusalem to two British army sergeants. Click on pictures to enlarge. Click on caption to see the original. 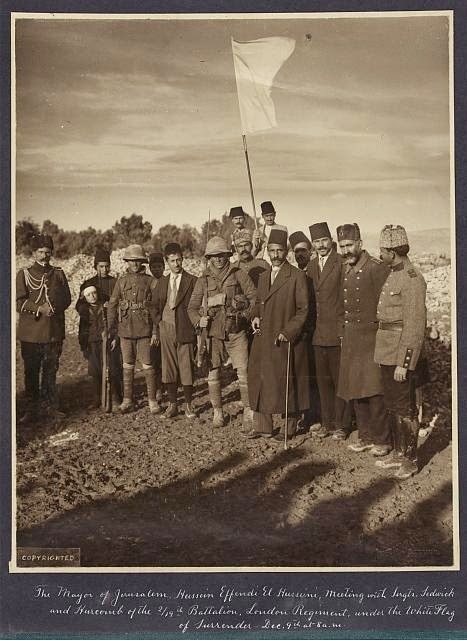 The Middle East fighting continued until October 1918, after major battles in Megiddo, Jericho and Damascus.